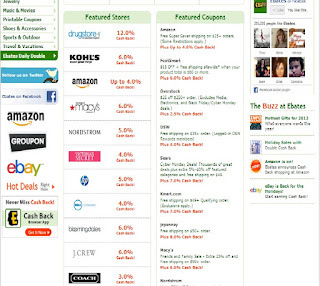 TAKO: How to EARN CASH BACK online shopping?! How to EARN CASH BACK online shopping?! Hey guys, so today I just want to talk about how Ebates works. I've been a member on this website since 2011 but I've never used it until Cyber Monday. I never really understood how it really worked, I guess. But this past Cyber Monday I kept getting emails about double cash back on selected stores so I decided to check it out. There's over 1500 stores and they must've added a lot since I signed up because I don't remember seeing some of the stores on there. But anyways, so once you make an account you want to click on the stores you want to shop at through their website. You have to do it through Ebates because that's how they keep track of the tickets--that you clicked on the link. It will open up a new tab and direct you to the store's website and you can shop like you normally would. So every store offers different % cash back but sometimes they double it like they did on cyber monday. 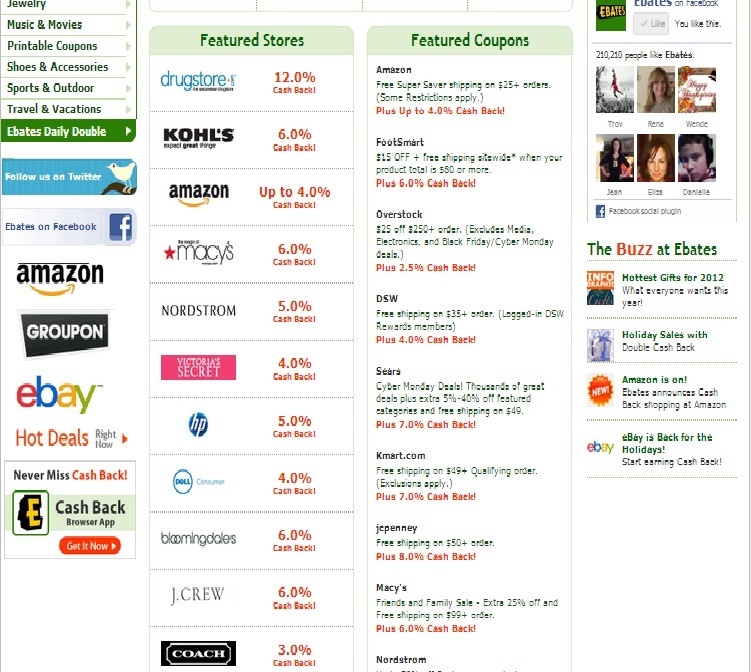 Here's a quick preview of some of the featured stores and how much you can earn back. So you can see that Bloomingdales offers 6% cash back, Gap offers 10% cash back, Victoria's Secret 4%, and so on. There are so many stores like Amazon, bed bath and beyond, Nordstroms, Sephora, and etc. These are stores we would normally shop at so why not get some cash back for all the money we're spending. So they send out either a check or direct deposit into your PayPal Account every 3 months. The percents might sound small but if you love online shopping it adds up. So why not give it a shot and see how you like it? Also they have coupon codes on their website for different stores. I don't know why I never used it before--couldve gotten back some money for all those years of shopping haha.